The Heisei era Kamen Rider summer movies have taken a lot of different forms over the years. First they started out as alternate universe adventures, but eventually began tying themselves into their respective series with varying degrees of impact. The recently they even took the form of an epilogue, with Ex-Aid's True Ending picking things up at the end of the series. 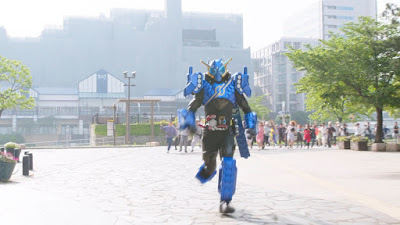 So with all these different options at hand, it was going to be particularly interesting to see what route Kamen Rider Build decided to take – a series that's not only set in a parallel universe to begin with but also has been careful to tie its movies and spin-off material into the bigger picture. Released alongside Kaitou Sentai Lupinranger VS Keisatsu Sentai Patranger en Film, Kamen Rider Build the Movie: Be the One returns these movies to the usual post-Decade format – taking place just prior to the show's final endgame against Evolto. As the Civil war that divided Japan even further draws to an end, Kengo Inō, Ryōka Saiga and Mitsuomi Gōbara are appointed the new Governors of Touto, Hokuto and Seitou. They announce a plan to unify the country, but first declare Kamen Rider Build as public enemy number one. With both the Japanese public and his closest friends under the politicians' spell, Sento soon finds himself on the run. 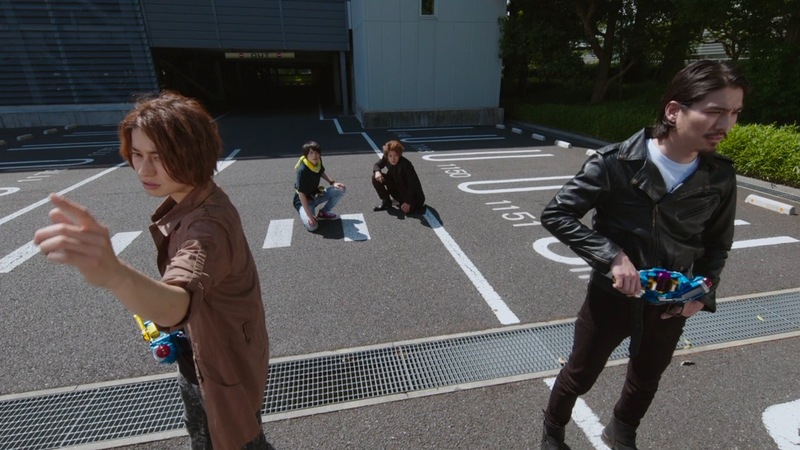 His fellow Riders try to help, but Kazumi and Gentoku are quickly captured. Banjou on the other hand is not only brainwashed, but key to the trio's plan. As the politicians are revealed to be further members of the alien Blood Tribe that arrived on Earth the same time as Evolt, a new plan to destroy the planet using the Pandora Box unfolds. Alone and without the help of his closest friends, Sento must come up with a plan to defeat this threat – and once again Banjou is the key. 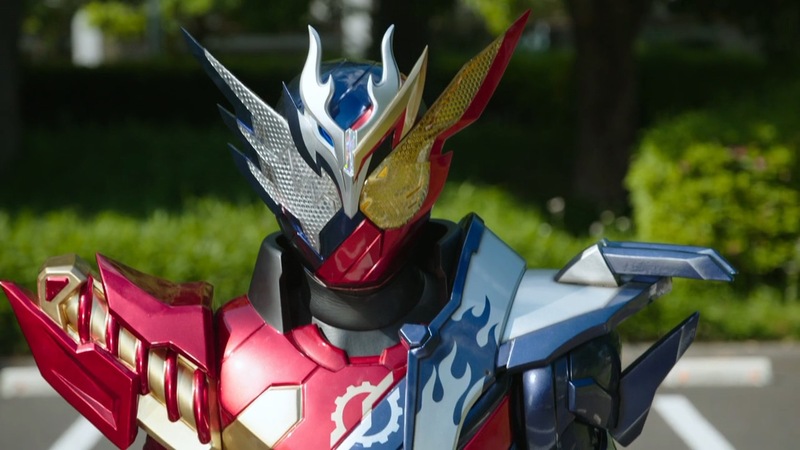 Although opinion is more divided on how Kamen Rider Build went from being a politically-charged story about the ambitions of man to one that chalked it all up to alien interference, it's harder to deny that at the very least Kamen Rider Build gives the impression of a tightly-plotted machine that always knew how its pieces fit together. Given how Heisei Generations FINAL somehow managed to turn Build's rather unorthodox cameo in Ex-Aid into a key plot point, it's quite strange to see Be the One take a bit more of a back seat in comparison. Though the film does well to fill in a few blanks from the series, most of it is feels inconsequential and doesn't do anything to make Build as a series feel that much richer. Knowledge like the fact that Evolto wasn't alone on his arrival or Earth or that Kengo was the one behind turning Banjou's girlfriend into a SMASH actually work against bits of the series, since they cheapen the impact they have there and take the agency away from more important characters. Perhaps it's also because Be the One features a rather basic plot as well - this time without an extremely charismatic villain to help make it work. Although the Banjou possession plays a big part in bringing it up to movie (well, 65 minutes) length there's little more to it than "a group of aliens try to destroy the world". 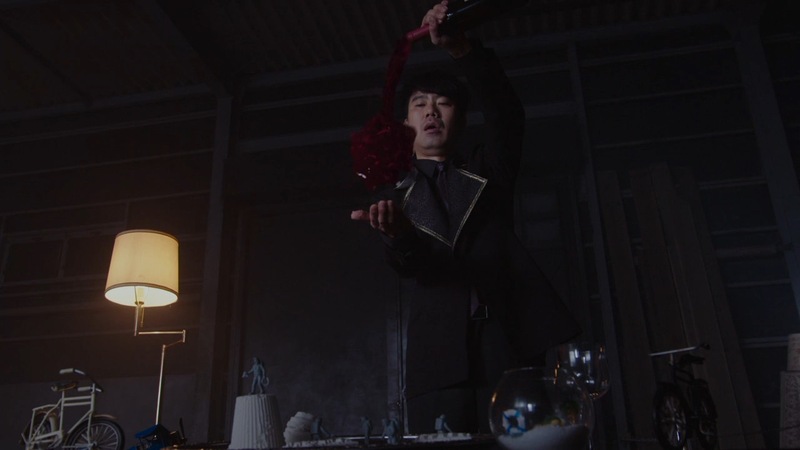 It’s basically a less interesting version of Evolto's plan with three less interesting (if nicely designed suit-wise) villains, which might be why the first 25 minutes or so of the film are dedicated to such a lengthy chase scene rather than moving the plot forwards in any meaningful way. But what Be the One lacks in involved storytelling it makes up for in pure fun. Despite its often serious themes Build was never afraid to lean into slapstick, and the first half of the film leans into this in full force. 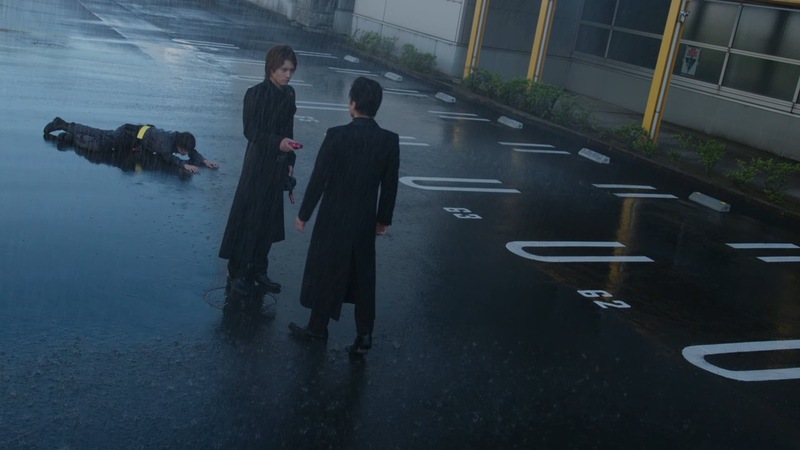 It’s a continued testament to Atsuhiro Inukai’s acting abilities that he can sell scenes of coming out of hiding to take dog photographs just as well as he can emotional exchanges in the rain. Be the One also makes up for its lack of grandeur in several other ways, with a key one being the overall direction of the film. 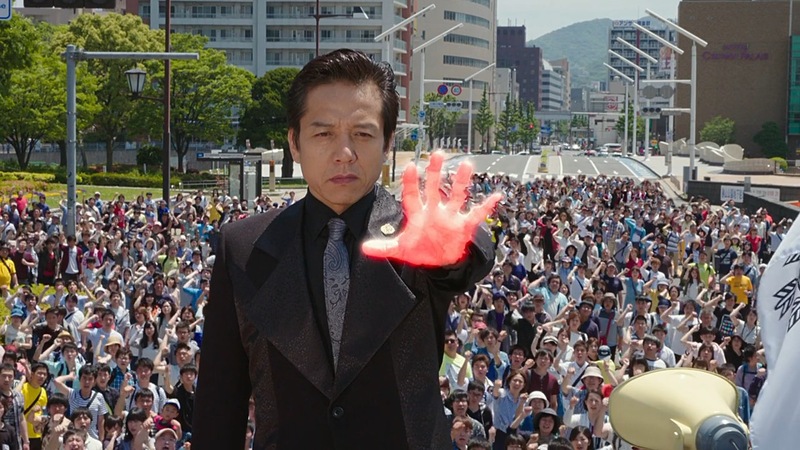 The movie was directed by Kazuya Kamihoriuchi, a man whose previous Kamen Rider credits have included a handful of Ghost and Ex-Aid episodes as well as their respective spin-off specials. 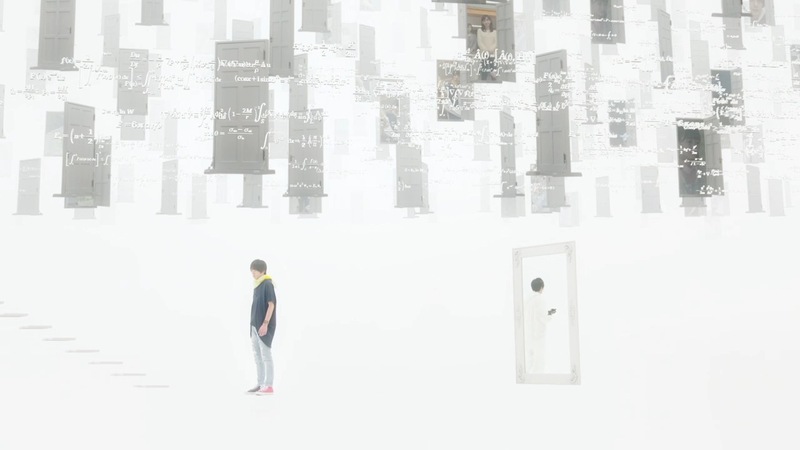 He also directed nine episodes of Kamen Rider Build, several of which were ones including some of the show's more striking visuals (remember that cool frame shot in episode 31? That was one of his.). Kamihoriuchi brings this fresh visual style here as well, and between the opening chase sequence, the dramatic rain sequences or Sento's inner-conversing with Katsuragi Be the One isn't short of stunning visuals that really make the film stand out. With Kamihoriuchi poised as the show's lead director, the forthcoming Kishiryu Sentai Ryusoulger should have a lot going for it. 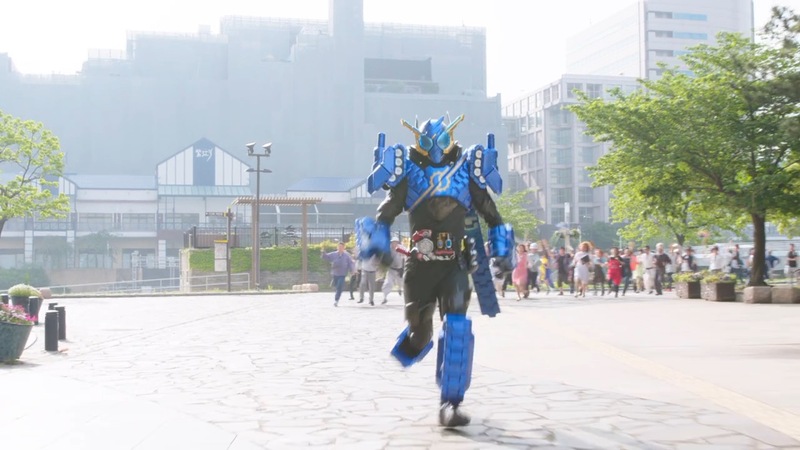 The other area is of course the one Kamen Rider Build has always excelled at – its characters and the relationships they've built up over the course of the series. The fact head writer Shugo Muto was on board for the film (as well as the other pieces of tie-in Build media released during the show's run) is crucial to this, as it makes that consistency between both show and film all the more tighter. It is disappointing that the film sidelines the supporting cast so heavily to do so, but focussing specifically on Sento and Banjou was definitely the right way to go with this. 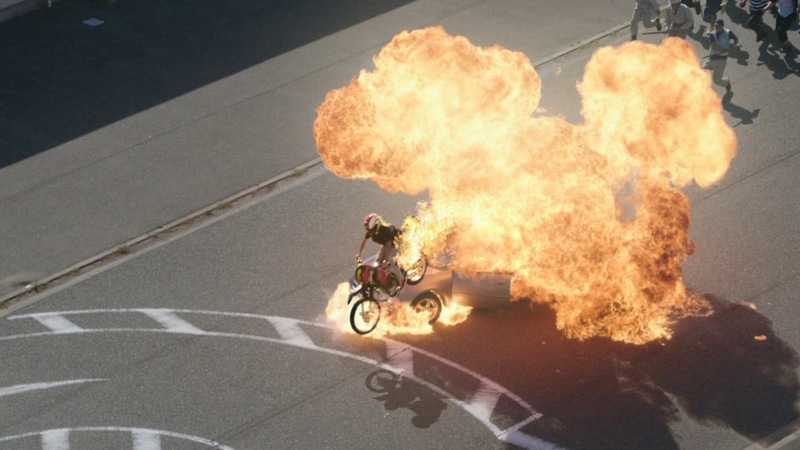 The film places even more weight on the fated meeting of the two Riders, implying their bond in an even more literal sense than before. In my series review I may have commented that their relationship had been presented in such a way that you could take from it what you choose, but between the angst, the emotional reunion and the literal merging on them into (the frankly fantastic looking) Cross-Z Build, there’s only one way it should be taken at this stage. 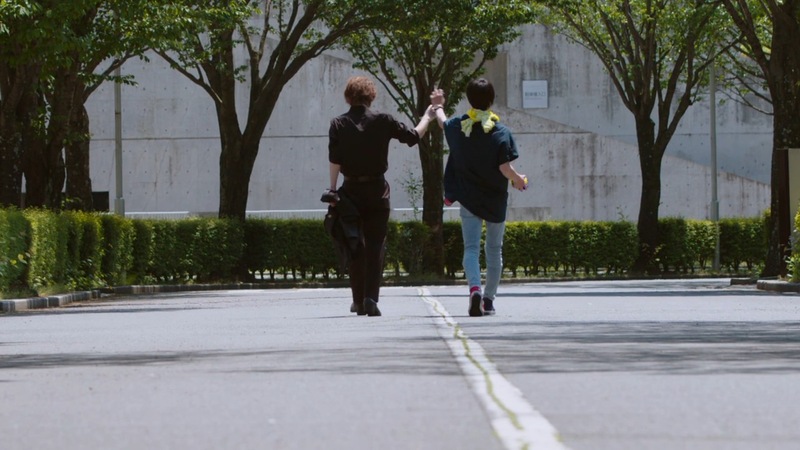 As a final note Be The One also marks a return to the standard Summer movie formula in that it features a cameo appearance from Build's successor (and the final Heisei era Rider), Kamen Rider Zi-O. However Zi-O's appearance is completely separate from the movie itself (featuring as a post-credits scene) and all in all fairly unremarkable. It doesn't really give a good sense of what Zi-O is supposed to be other than an anniversary series, including the previous Heisei Riders in a sequence that could have easily passed for Decade's onscreen debut. But while it only shows off his Build armour, it does at the very least give a good indication of the show's main gimmick – which when you consider how these things usually take place in the next show's preliminary stages means it probably got the overall job done fairly well. 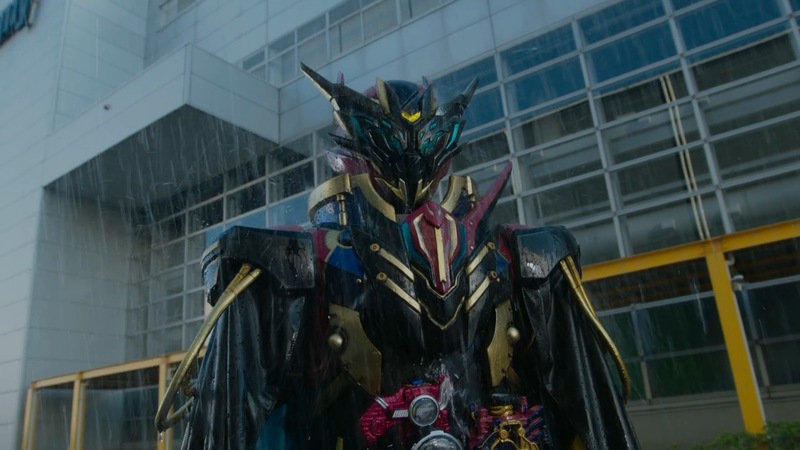 On the one hand Kamen Rider Build the Movie: Be the One does exactly what a perfect summer Rider movie should set out to achieve. It neatly ties itself in to the series canon, but doesn't do so in a way that the series itself relies on the movie in any way to tell a complete story. On the other hand, it doesn't leave quite as big of an impact as some of its predecessors have – instead settling to tell a simple, if somewhat forgettable story. As has always been the case with Build though its main strengths lie with the characters, and more time spent with this cast is never wasted. Now that we are almost midway on Zi-O,whats your impressions on the show so far ?